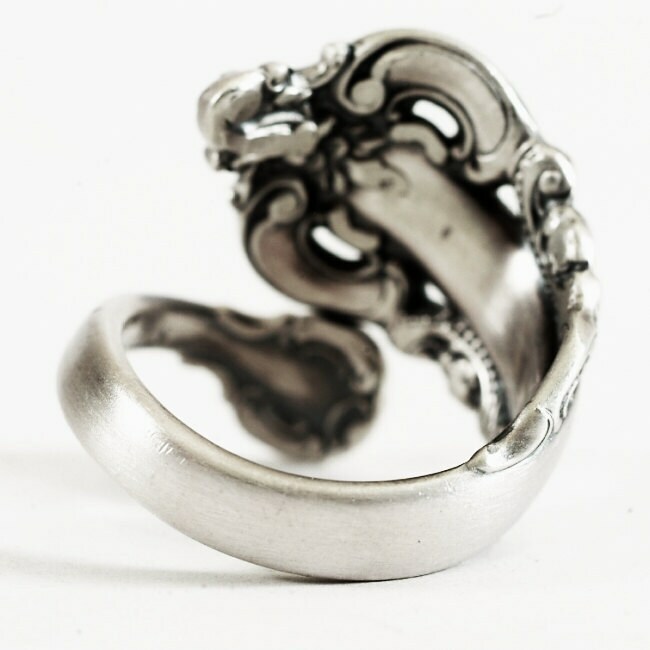 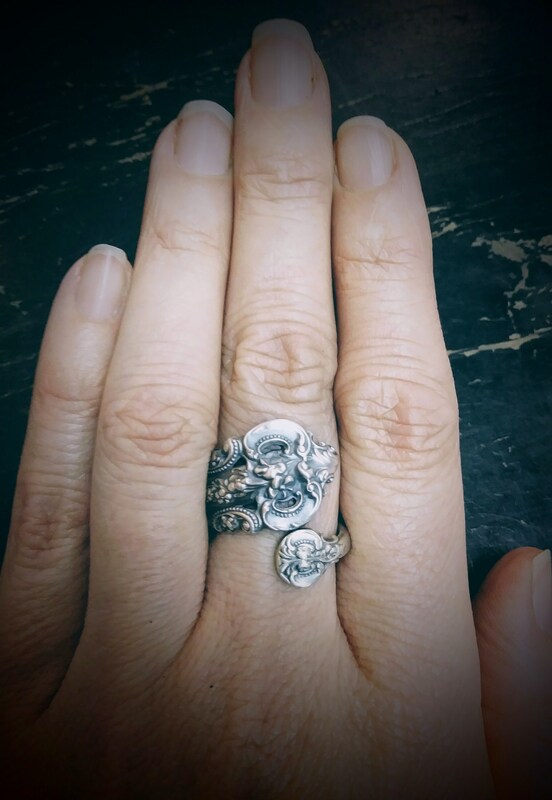 Sterling silver vintage spoon hand crafted into a beautiful ring! 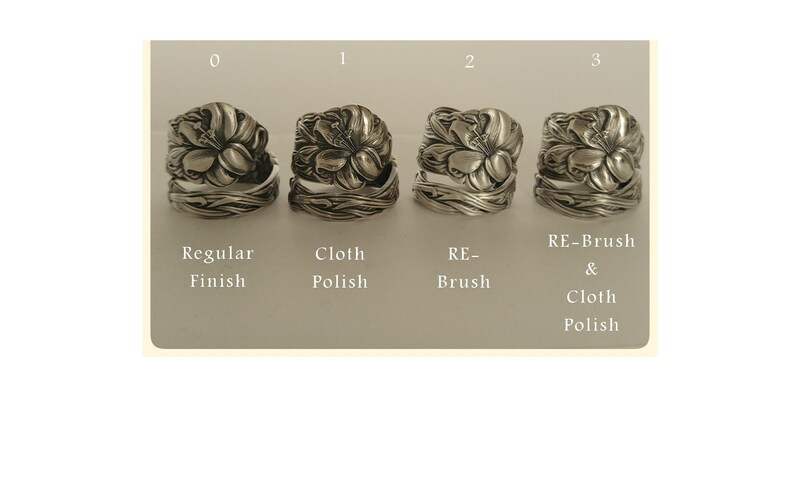 Vintage look that goes great with any outfit. 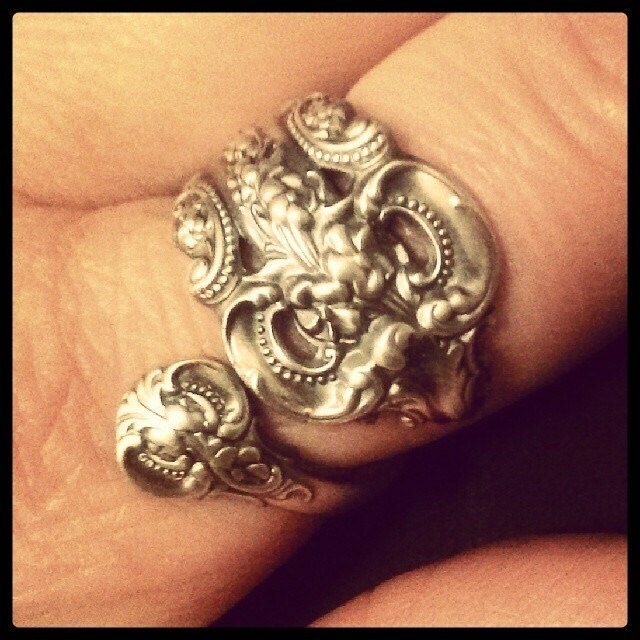 This ring has floral decorative elements garnishing a cut through design made in 1941. 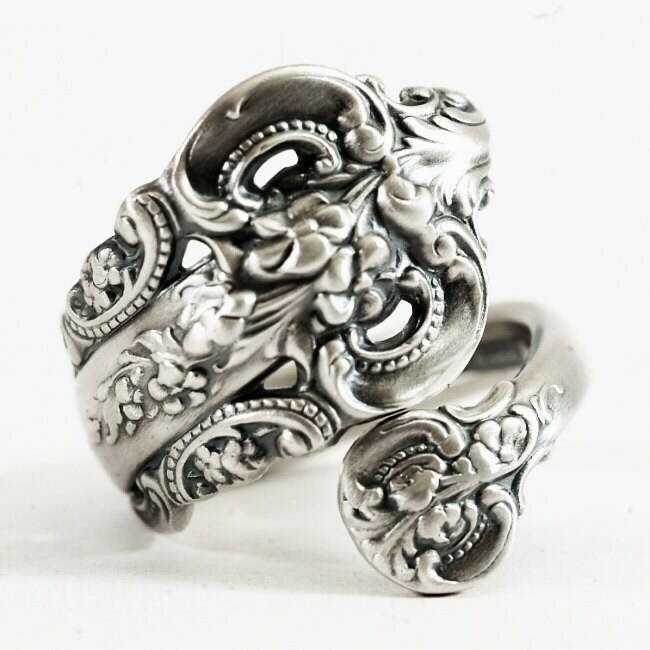 This ring was made from a small demitasse Grande Baroque spoon and is one of the most desired and glorious sterling patterns of all time. 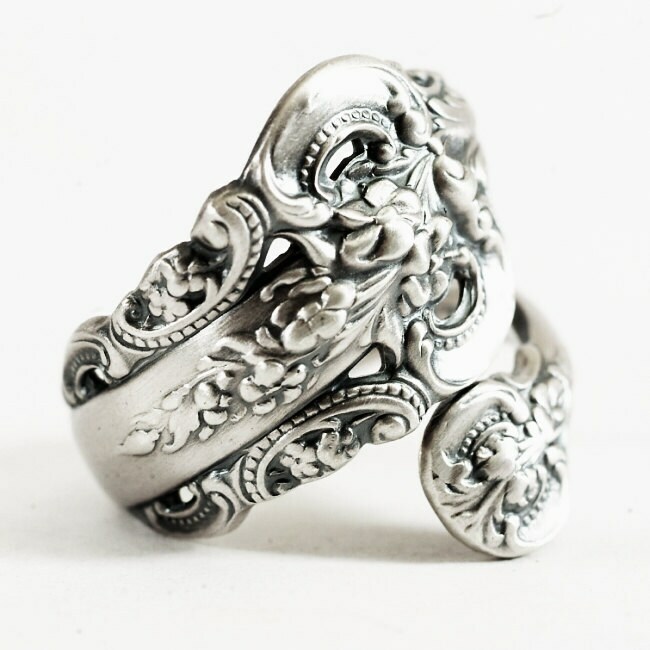 This design calls upon classic symbols of the Renaissance: the pillar and the curved acanthus leaf. 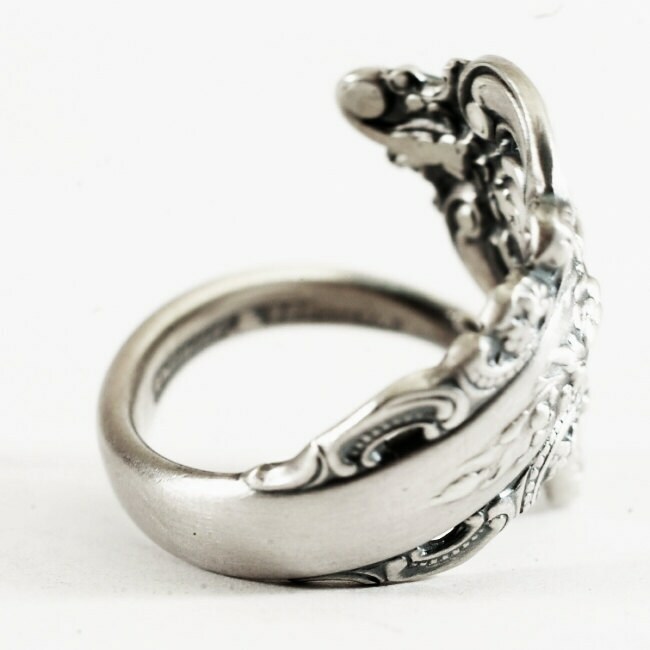 Dimensions: 15mm at widest point, tapers down to 3mm.